East Meadow, NY - April 15, 2014 - Robbery Squad detectives are investigating a Robbery that occurred in East Meadow on Tuesday, April 15, 2015 at 4:42 a.m. According to detectives, a male subject, armed with a black handgun entered the 7-11 located at 2138 Hempstead Turnpike and demanded money from clerk. The employee complied and the subject fled with an undisclosed amount of US currency in an unknown direction of travel. No injuries were reported. Subject is described a male, white 5’9” tall, thin build wearing a black hooded sweatshirt, black pants wearing a mask that partial covered his face. 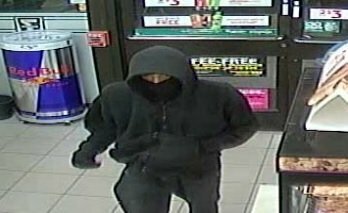 Subject: LongIsland.com - Your Name sent you Article details of "East Meadow Store Robbed at Gunpoint"